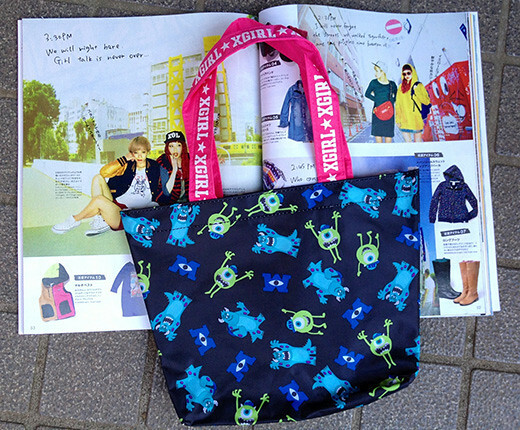 This is a free “Monsters University” Tote bag which you can get to buy October issue of Zipper magazine. X-girl produced this cool tote. The lightweight nice looking tote to carry my lunch or snacks! ☆ X-Girl was a 1990s indie fashion label started by Sonic Youth’s Kim Gordon.